Russian Sports Minister and Russian Football Union President Vitaly Mutko is sure that Gianni Infantino will be able to resolve all of the problems plaguing FIFA, the international football governing body, if he is elected as its president. "Russia and most of the European countries share in the opinion that Infantino is our candidate for FIFA president. He has colossal experience in organizing the football industry, and he is working in a successful organization, UEFA. 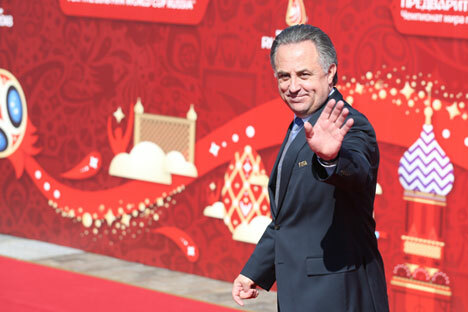 He will be able to resolve those numerous problems and consolidate the football family," Mutko told journalists in commenting on his meeting with Infantino in Moscow on Feb. 3. "We discussed the election campaign process, expressed our support, and will be doing all we can to support him in the presidential race," he said. The two also discussed some aspects of preparations for the 2018 FIFA World Cup in Russia, he said. "This is not Russia's project, this is FIFA's project, and Russia will do all it can in good faith to host the tournament," he said.